- France home to Areva, world's leading manufacturer of nuclear reactors. 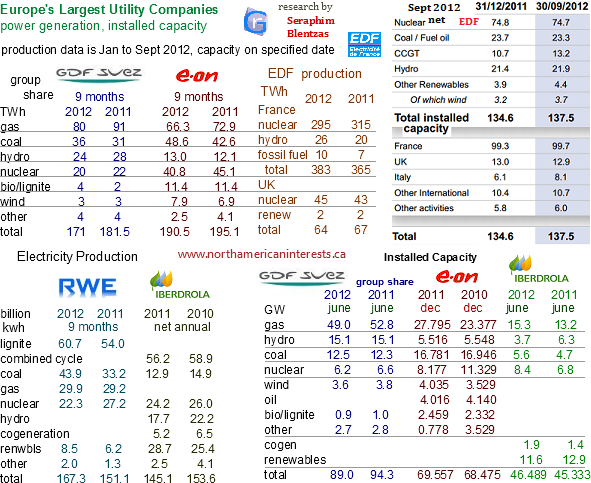 In 2011 USA 56% of the 1158 MW increase in wind capacity. 2012 to 2014 capital expenditure estimate EUR 12.3 bil (-30%) 25% in renewables; UK 42%, Spain 19%, United States 16%.